Audi’s compact crossover has entered its fourth generation for the 2018 model year, and this may very well be its last looking the way it does, so we should enjoy it while we can. Fun to drive, and great to look at, the 2018 Audi Q3 has lots to offer, especially in its latest iteration. 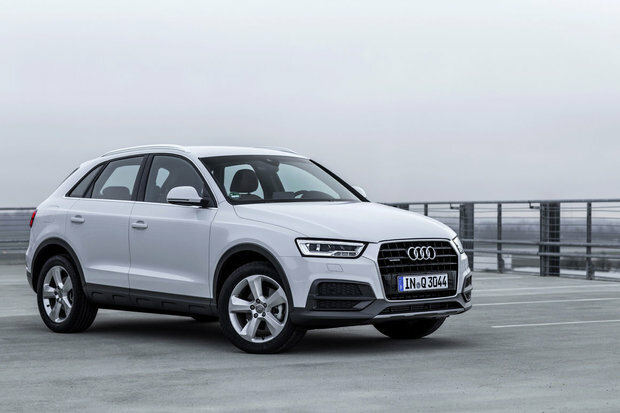 From the outside, the 2018 Audi Q3 looks as you’d expect, and while it carries the Audi family language across the linear front grille and angular rear taillights, it remains modern and youthful-looking. Instantly recognizable on the road, the Audi Q3 is both sophisticated and sporty, in a package that’s also practical and adaptable to both city and country life. Perfect for urban commutes and weekends away in the woods. There are three trim levels available for the 2018 Audi Q3: Komfort, Progressiv and Technik. Each trim offers up slightly different aesthetic choices as well as interior bits and bobs. However, the engine remains the same across the board and is a 2.0L TFSI turbocharged inline-4 mill we all know and love. It produces 200 horsepower and 207 lb-ft of torque and is paired with a 6-speed automatic transmission and front-wheel drive. Audi’s Quattro system is an option across the lineup of models. Inside, Audi has yet to offer their virtual cockpit in the Q3; however, stay tuned for the next generation update in the coming model year. In the meantime, this fourth-generation model features all the interior goodies you’ve come to expect from Audi including an available 14-way speaker, dual-zone climate control, Audi’s MMI entertainment and navigation system, as well as a power lift-gate, and an available S-Line package that includes 19” wheels, steering wheel paddle shifters, sport seats and suspension, piano black interior finishes, and a black headliner. To find out more about the 2018 Audi Q3, head down to your local Audi Glenmore to speak to one of our experts about everything this compact crossover has to offer. And don’t forget to book a test drive, too.